Updated on Fri, 19 Aug 2016 04:59:34 GMT, tagged with ‘math’—‘tech’. @Pedro77 posted their approach to generating random points on the surface of a sphere contained in a cone emanating from the middle of the sphere—a cone pointing in a specified direction and with a specified angular extent. a specific direction, in terms of a 3D vector, rather than assuming the cap was centered on the sphere’s North Pole. @Pedro77’s technique used rejection sampling (generating random points on the sphere’s surface until one was found that met the criteria). 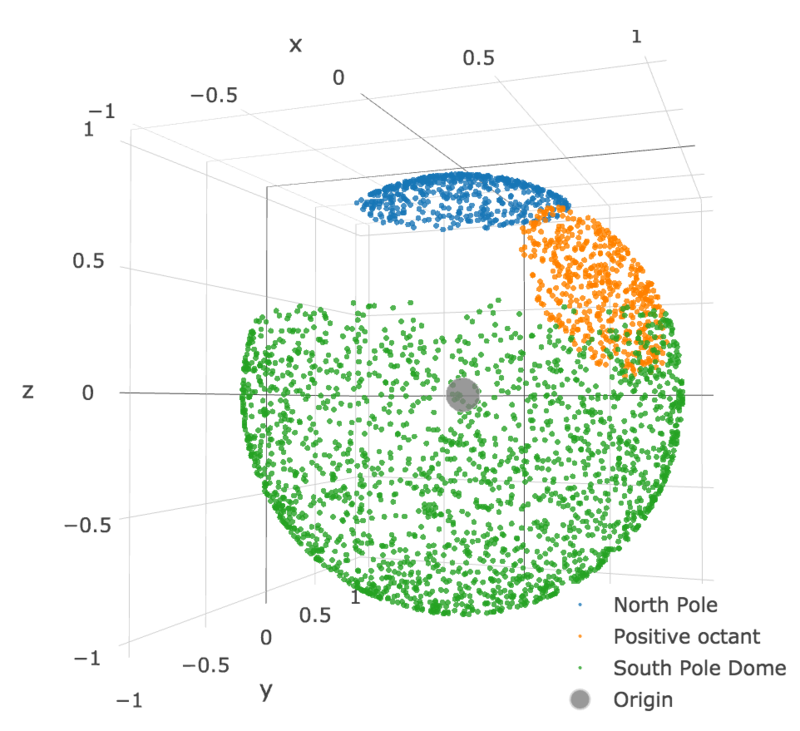 I was able to cobble together an implementation of a deterministic algorithm (in 😭Matlab😭) using the insights from @joriki and @Jim Belk—see these to learn some surprising facts about the surface areas of cuts of cylinders and spheres (they’re the same!). the 110° spherical cap, which looks like a Dymaxion dome, at the South Pole.